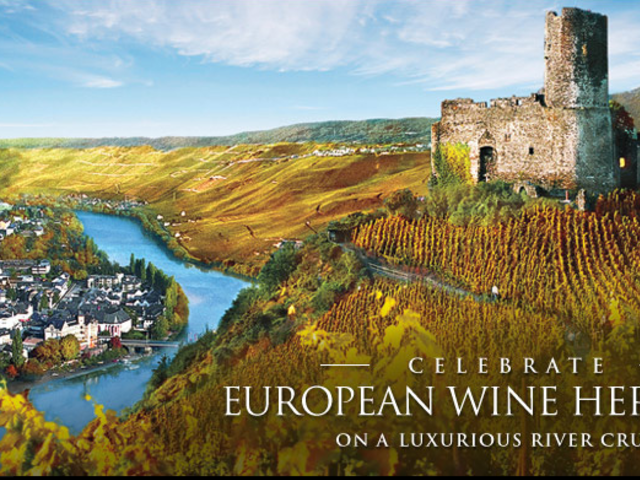 Save up to $1500 per stateroom on Wine Themed River Cruises | Travel Expressions Ltd.
AmaWaterways offers exclusive wine cruises that showcase the acclaimed wine regions along Europe’s Danube, Douro, Mosel, Rhine, Rhone and Seine Rivers. These unique sailings are hosted by top wine experts and feature complimentary lectures, wine tastings, exquisite cuisine with paired wines, and excursions to historic vineyards and wine cellars. 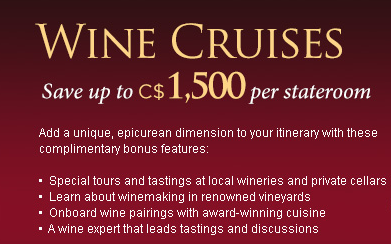 Guests learn about centuries-old wine traditions, sample one-of-a-kind vintages and enjoy private wine-themed excursions. Other highlights include: music and newly pressed wine at a rustic Austrian tavern; Alsatian wines in Colmar, the French “Capital of Alsatian Wine”; and a German "Oktoberfest" in the village of Vilshofen, held year-round exclusively for our guests. Love wine? These are the perfect cruises for you!